I remember bobbing around in the ocean off Nantucket with my Step Father and throwing the idea of a career in real estate out to him. He had lots of great advice, and one very important bit was, find the right Broker to work for. Even before I had my license I interviewed with several local agencies, and immediately felt that JtRealty had the resources, support, technology and over all feel conducive to me becoming a successful agent. I was introduced to the “art” of selling real estate through the help of experienced agents, and a direct mentor. I have stayed here since 2004 because we continually grow together as a team of professionals dedicated to providing superior service to our clients, directly resulting in excellent earnings for me. 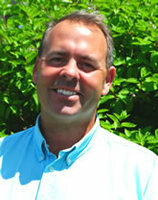 I have worked at JTRealty | KW Lakes & Mountains since 1999. I choose to work here because we are and always have been on the cutting edge of technology, always embracing the newest innovations in the Real Estate industry. We are a collegial group of people; everyone is willing to help one another, understanding that our competition is down the street, not within our own office. The office itself is a grand old Victorian that has been beautifully restored with comfortable working spaces and a spectacular view of iconic Mt. Washington, the namesake of our Valley. Be sure to contact us for an initial interview and find out if you’re a good match for our team.